If your looking for quality, look no further than Hayman Reese. The RC Colorado towbar comes with a towing capacity of 3 tonne towing capacity. 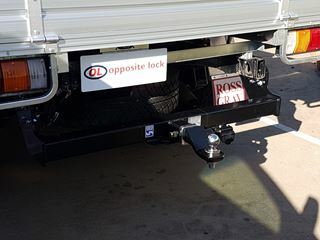 Being heavy duty, this towbar has a removable tongue, so no more hitting your shin on the towball.